You are in for a treat with LUSH Fresh Handmade Cosmetics! I remember the first time I found LUSH. We were shopping in a Chicago mall, a city treat we did a couple of times a year, and this store just drew me in. I spent forever in there, admiring all the shampoo, lotions, scrubs. Smelling and sampling as I went. I think it was the first time I realized that products can be Organic, Green, & Handmade Fresh all at the same time. Where was the packaging? There wasn’t any ~ soaps and bath bombs sat out in the open waiting to be scooped up and sniffed. Very eco-friendly. I stocked up for myself and bought my mom a basket of goodies for her birthday. Took home a catalog and been an online buyer ever since. The nearest LUSH to me is now five hours away. Way to far and I hope they come my way soon! Sweetly exfoliating with Fair Trade sugar and stimulating circulation with fennel and ginger. Buff your skin! With scrub in hand, rub all over your body and feel the difference – goodbye dead skin – hello glow! A shower jelly. Heard of that before? I wish you could touch your screen to feel it. Energizing blend of fresh lemon, lime, and grapefruit juices. They’ve thrown in revitalizing rosemary and balancing geranium to kick-start your senses even more. Try freezing it for a coooool summer treat! Love love! They also make great shampoos and add lots of softness and shine to hair. I like thick body creams more than runny lotions. This is a little different ~ smooth over body while wet, rinse off and dry. Turns your skin into silky soft rose petals ~ smells that way too. I open up the bottle periodically just to take a sniff! Hmmm. Check out Lush online ~ you won’t want to leave! 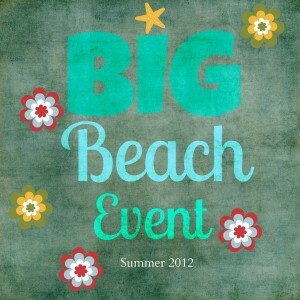 WIN a Sugar Scrub from me! I received these products for review and was not compensated in any way and all opinions are my own. This giveaway will end on July 5, 2012 at midnight EST. Winners will be drawn via rafflecopter. Once a winner is drawn I will contact them and they will have 48 hours to reply before I draw a new winner. Giveaway is open to anyone in the US/Canada and you must be 18 years of age or older. Giveaway not affiliated with Facebook & I release them of liability. Winner will be posted in the rafflecopter widget. 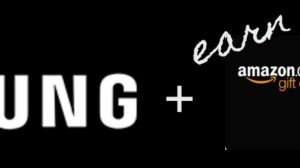 Be a Samsung Rewards Advisor and Earn Amazon! I have never tried LUSH products - would love to try them! I love LUSH... No stores nearby me though and that stinks! i haven't tried lush - but have heard so much about them. Would love to try something of theirs! I've never tried Lush but would love to. Thanks for the giveaway. i LOVE Lush's honey dew lip balm, I won't use anything else! I love Lush!!! The stores are so neat!! I've never tried it, but I've been in there stores and everything they make smells so good. A Lush store just opened 10 mins from my house. I've gone so much they remember me and my son haha! I used to shop at their Georgetown store. Loved their stuff---it was always so cool to see what was new. Love their natural ingredients. I am madly in love with Lush....Everything smells so amazing & makes skin so soft & sweet. not yet, would love to try the products!! I love LUSH sea salt scrub and the buffy bar. They have made a real difference. Love that they are eco friendly!!!! I have never tried them but would love to! I've always wanted to try their products, they look great! I have never tried LUSh... I do need a sugar scrub... I'd like to have silky legs for summer!! I've been admiring Lush products for a while but have yet to try them. I am a huge Lush fan, I miss their stores being everywhere around me since we moved. Have never tried it. But it looks really good. Wanna try it. I haven't tried Lush yet-but I would like to. I have never tried Lush before, the brand sounds wonderful! I love lush! Other than one ridiculously smelly shampoo bar I tried,I've loved their products. I love Lush! I used it a lot more when I lived in NYC and had one close. I love Honey I Washed the Kids Soap! Looks amazing! I so want to try it! I've heard such great stuff about Lush! I so want to try!! I LOVE Lush. My favorite is the Sweetie Pie shower jellie, but really I love everything I've tried. I am a huge Lush fan, love their Imperialis Moisturizer and this year I just discovered their Breath of Fresh Air seawater spray which is wonderful on a hot day. I've never tried Lush before, but their stuff looks great. I'd also like to try their Vanilla Puff Powder. I've been to LUSH stores a few times- I usually see them when I'm on vacation. I love their products! they have such fun things- especially their fun bath fizzies. I have never tried this product yet, but it sounds good to me. I love LUSH. My sister lives near a store and sends us tons of new things. I've never heard of these before, but they look amazing. Shower jelly? Never heard of it, but I'd love to try it! I've never tried them, but i've heard good things about their products and always wanted to try them! I have never tried, but I sure would like to. I have never heard of Lush before! Would love to try them & this giveaway is for one of my favorite bath products - body scrub! Keeping my fingers crossed! I have never tried Lush but it sounds great and I would love to try it. I've been a LUSH fan for about 10 years!!! I ADORE Angels on Bare Skin. It's the best facial cleanser I have ever, ever used. I love Lush! Big fan of the Bath Bombs! I am indeed a LUSH fan! I've never had the chance to try a product of theirs, though - except samples in the store! Thanks for the giveaway. I love the look of the body butter! I too like a thicker, not runny lotion! lush is my FAVORITE beauty brand! love them! I love Lush products, especially the bath bombs! I've never heard of Lush, but I am truly amazed by their unique products. I've never heard of a shampoo BAR, but it got great reviews! I'd love to win a Sugar Scrub from Lush. Thank you for this nice giveaway. I love Lush products! They actually work, and most of them smell real great! I am absolutely in love with Lush. It is too bad the nearest one is 2 hours away! I haven't tried Lush, but I was recently treated to a pedicure where they used a sugar scrub as part of it. It was nice. Love Lush bath bombs! So decadent. My friend visited England years ago and came back gushing about Lush! I love Lush! I've been using their products for a few years now and am so happy a store has finally opened near me! I've never used LUSH before. Eager to try! Never heard of a shampoo bar but it sounds great. I love Lush! It has helped me so much with my eczema. I love the Herbalism Face Cleaner. I have tried everything to clear up my acne, and I think I might just have to order this to see if it works. I love to exfoliate and this sounds wonderful! I've heard of LUSH but have never gotten the opportunity to try any of their products..the scrubs sound like what I'm looking for....something that goes on easy, isn't so abrasive that it leaves me feeling raw, and rinses off easy as well. Thanks for this giveaway! i have never tried lush. but i would love too. Not yet, but I can't wait to try their products! Never tried it, but excited too!!!! I do love LUSH, but we don't have one in town. Never tried but want to. We've only tried the bath bombs, but we love what we've seen! i've never tried Lush before-i want to! Never heard of it before this giveaway, bit I cant wait to try it!! I have never tried them, but would love to. I am a HUGE Lush fan! Thanks for the giveaway. I became a Lush fan this Spring, when I tried Ro's Argan Oil body conditioner. Now I'm addicted! i've tried lush once and liked it. I had never heard of LUSH before today. Wow... I wasn't a Lush fan before, but after just checking out their website, I AM NOW! There are so many things I want to try... but I think I will have to start out with the Fair Trade Foot Lotion. I love that it has spearmint and peppermint in it. My sore tootsies could use it :) Thanks!! 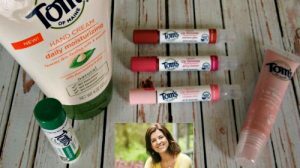 i would really like to try these products thanks for the giveaway! Never heard of it before, but looks AMAZING!!! I love, love, love Lush! I'd love to try their products! I would really like to try the "whoosh" product. Looks really interesting. I've never tried this but I'd love to try it! Not yet a fan. I would love to try the products. I never heard of LUSH before, I would love to try them out! Have never tried it, but I believe in exfoliants! I love LUSH! I wish a store was close! I've never used Lush products, but I completely would love a facial scrub about.. now! I've never tried these products but they do look good. love LUSH. couldn't be a better giveaway. I LOVE lush!! Bath boms are my FAV! I've never tried LUSH products but would love to! I have not tried this brand but it looks/sounds wonderful. I never tried LUSH but would love to try them! Yes! I, too, discovered their products in a mall several years ago. Now my teen daughter is a fan, too. We both have sensitive skin and their products are great for our skin. Thanks for the giveaway! I have never tried them, but their products look good. I'm not a LUSH fan yet, but I don't see how I couldn't be once I tried their products! I am a HUGE Lush fan....can't get enough...problem is not enough money for buying it as much as I'd like. I've never tried Lush, but I love lotions and body washes. So if they're as good as you say they are then I'm sure I'll be a huge fan! I've never tried their products, but they sound wonderful. Thanks for the giveaway. Yes! I love the ocean salt scrub-- when traveling it makes me actually feel clean in a shower that isn't my own. I have not tried Lush products but have been wanting too. I love LUSH products! I used to live near one of their stores and now (sadly) I do not. Yes, I love Lush! Great natural products! YES... Their products are GREAT!!! I've never tried their products, but have always wanted to. Never tried LUSH products, but would love to. YES! I AM A LUSH FAN! I HOPE I WIN! THANKS FOR THE GIVEAWAY! I aam a lush fan! I like LUSH! Hehe! Can't afford them half as often as I want ... alas! I've never tried their stuff, but it looks great! Definitely a fan and love this giveaway! I've been a Lush fan for several years now! I have always wanted to try LUSH products & have never gotten around to it. I'm about to check out their products and take the plunge! 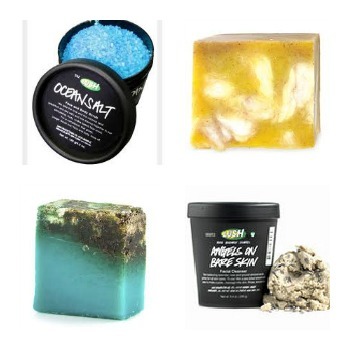 Lush fan here, they have so many great products! I love Lush! I especially like Honey I Washed The Kids Soap. The scent is fantastic. Those products look very good to use! I love me some LUSH Baby!! Came across your post on my feed and now I'm a subscriber my new friend! Love Lush! The scents are wonderful, and everything is all natural!! My GF keeps telling me about LUSH! I'd love to give them a try. I love Lush and have for years. Especially thier bath bombs! I have a Lush store in my local mall and love going there to shop..it always smells so good in there! i love lush! i love their massage lotion bars! they are my favorite thing they sell! i love the chocolate one! 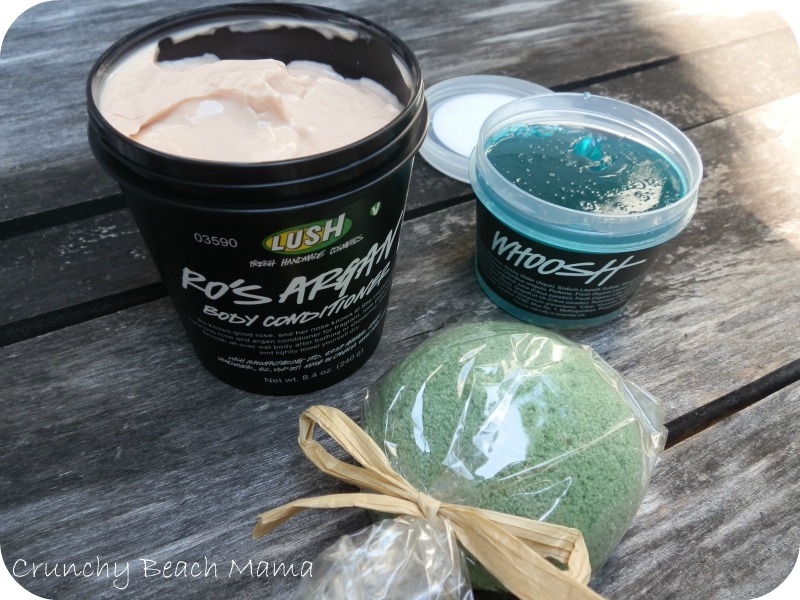 My sister turned me into a Lush fan - I am a huge convert! I love them! Yes am I'm a lush fan, my aunt turned me on to them years ago because she had a whole closet full of the stuff. I love LUSH so much! Not only do I love their product, but I love their catalog! So fun!